Just before our summer holidays in July, we had the visit that I had been looking forward to for at least half a year. 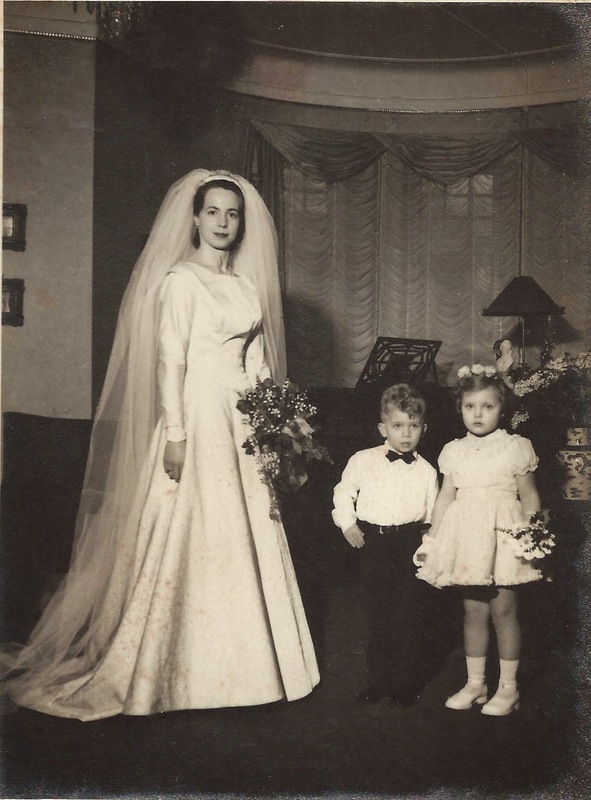 During my research, I had found that our house had been owned by Kathleen Cook-Marslen Frieberg. I had talked about her (with a mispelled surname) in this old post. On top of that, I had managed to find that she had two children, Essie, who I have already mentioned, and Chris. I have been very lucky to get Chris and his wife's email address and get in contact with them, since they nowadays live in Florida. It is then that I have found out that they were coming to Sweden for a visit around midsummer and we then agreed in meeting. I was so excited when I went and pick them up at the station, and they were accompanied by a granddaughter and a his sister grandson. It was not certainly that long ago that they have been around in Åkarp, but I believe also in this occasion it brought back 60 years old memories. When that happen you could see that in their eyes. Chris was telling us stories about the Tre Musketörer and when he was also working there and how the business started to decline. When it did, Kathleen sold Bellevue and the Tre Musketörer and moved to Näsbyholms Slott, near Skurup. I hope they did enjoy the visit as much as I did. When we were out in the garden, Chris was impatient to go inside and his eyes were sparkling when we finally entered the door. Outside, he told us that the grapes that are growing on the veranda were there also when he was 20 and that in the back garden there was an orchard. One of the most interesting details was that he was using the garage to park his car (of course, we are the only one not doing that ;-P) and that such car was a Mercedes. It was said that there was a rumour that the car was once owned by Hitler and that had been given as wedding gift to Prince Gustaf Adolf of Sweden and Princess Sybilla of Saxe-Coburg and Gotha, who got married in 1932. Unfortunately, they couldn't find that many pictures of the house, but they had few that shows the sophisticated furniture taste of Fru Cook-Frieberg. She liked antiques and the whole house was filled with very special furniture, some of which was coming from Sweden and in specific, from Vinslöv (Hedbergs). Chris' room was our current guestroom. Isabella is instead using Essie's room. 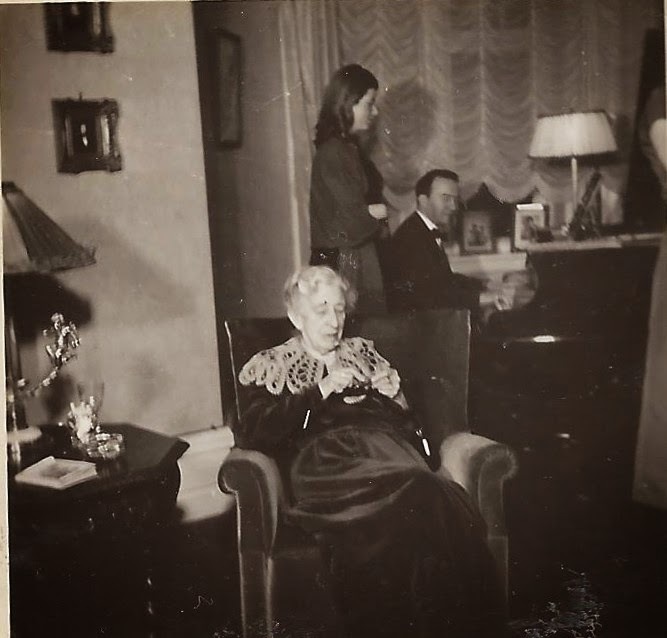 Kathleen's mother, a British who had got married very young in UK and left with two daughters (Kathleen's sister towards the Swedish shores at the beginning of the 1900 century, was occupying Oscar's room. Katherine Payne. Essie is behind Jack Bagner at the piano. She was called Katherine Payne and married in 1897 Charles Cook, who was 10 years younger than her. More about her can be read in this forum post. When Christ and Joan Connie returned to USA they sent me few pictures. Unfortunately, I was too much excited by their visit to remember to take pictures of us with them. I know that the kids did take few, though. On the way to the train station, we almost knocked on Tårtrummet's door, but time was flying and there was a train to catch. The Tre Musketörer has to wait their next visit to Sweden.